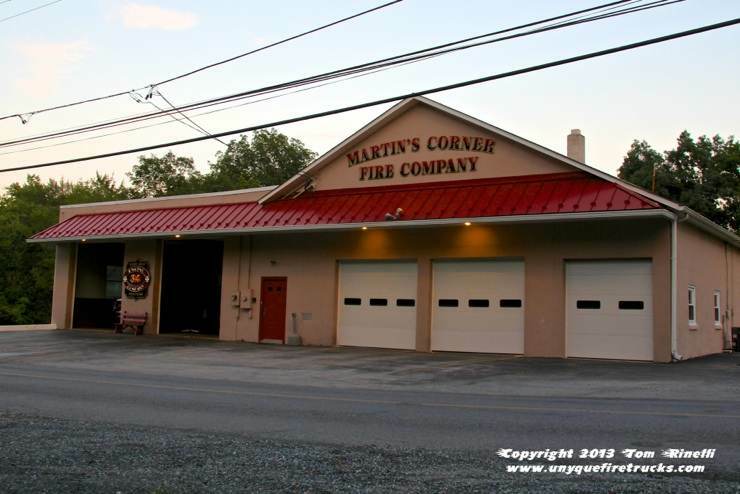 Organized in 1947, Martin’s Corner Fire Co. formerly served West Caln Township for Fire and Rescue protection until ceasing operations in January 2014. 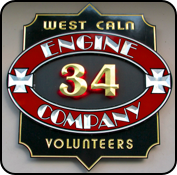 Having operated from a single station, twenty two active volunteers answered an average of 200 alarms annually. 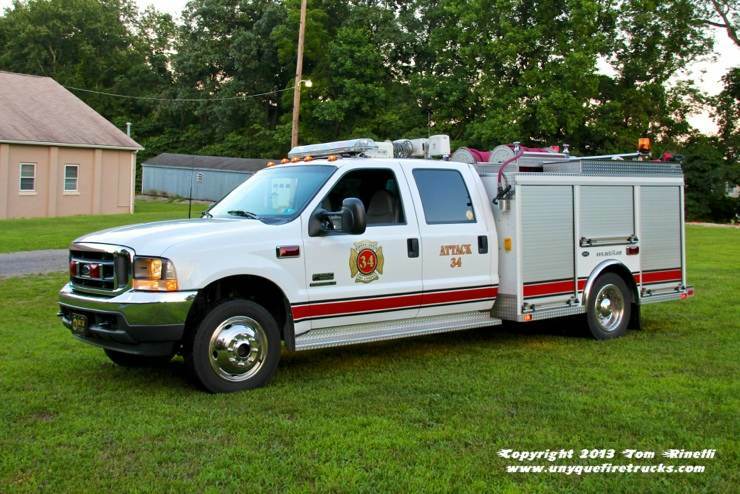 Attack (TAC) 34 - 2002 Ford F550/Semo 120 gpm/300 gal. Equipped with a Darley skid unit with two reels totaling 400’ of 1” booster line, this rig featured a light tower and four bottle 6000 psi cascade system. For firefighting, it was equipped with 200’ of 3” supply line, 200’ of 1-1/2” attack line, wildland hand tools and haz-mat containment supplies. It was also outfitted for rescue operations with Holmatro extrication tools, water rescue gear and EMS equipment. 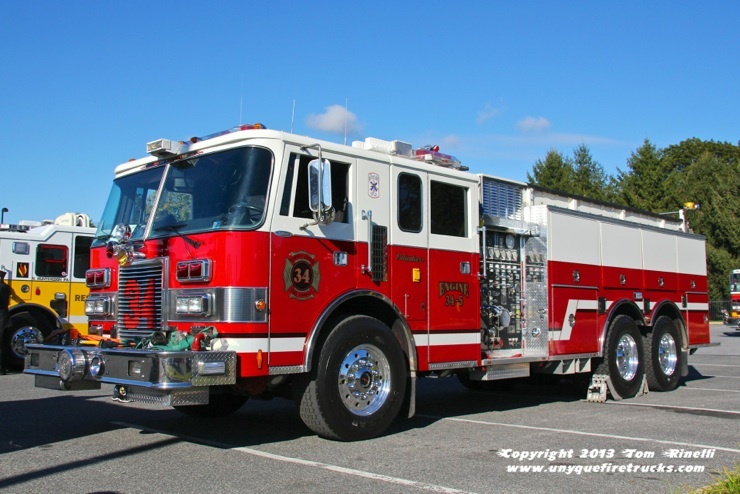 Engine 34-1 - 1984 Pierce Arrow 1750 gpm/500 gal. In active front line service for 29 years, this rig featured an 8kw Onan diesel generator and 1,200’ of 5” LDH on a reel. It was equipped with 700’ of 1-1/2” attack line, 200’ of 2-1/2” pre-connected to a Blitzfire monitor and 46’ of ground ladders. Special thanks to Chief Greg Lewis for the invitation to photograph Martin’s Corner and FF Andre Reason for his assistance in positioning the apparatus for photos. Martin’s Corner operated their entire fleet of an engine, engine tanker, mini-pumper and utility squad out of this five bay firehouse. 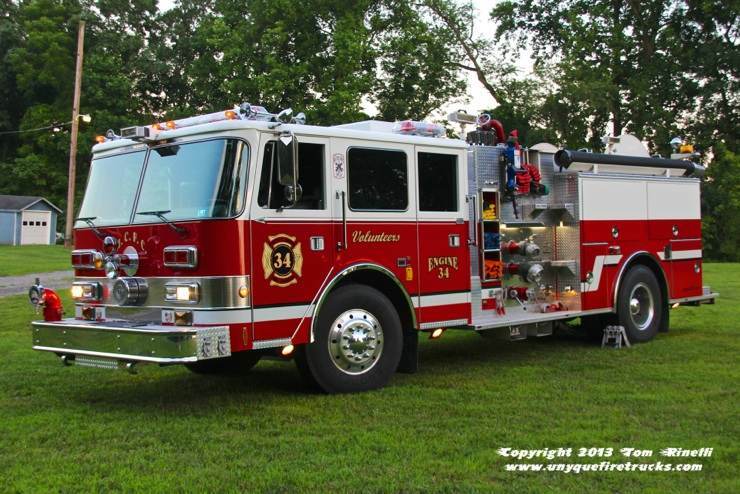 Featuring a 6kw Onan diesel generator with light tower, it was equipped with a 3,000 gallon portable pond, 1,000’ of 5” LDH, 750’ of 1-1/2” attack line and 46’ of ground ladders.